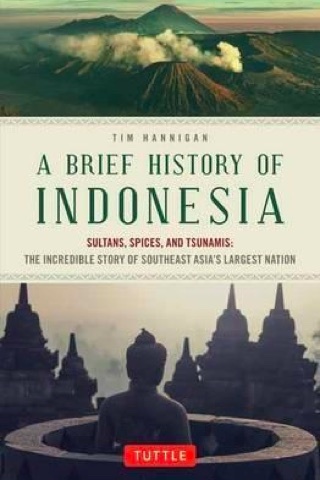 In his introduction to A Brief History of Indonesia, Tim Hannigan says that he aimed to write in the pages ahead the book he was looking for years ago when he first came to Indonesia but failed to find: an accessible history to explain something of the vast and diverse country to new visitors. Hannigan should be resting easy, as that’s exactly what he’s done in this immensely readable and colourful history of “the Archipelago”, as he decides to call it. (Indonesia only became a nation state with almost the same borders of today back in 1945; before that it was merely an idea and even earlier, not even remotely that.) If you’re looking for one book to reliably explain the main thread of the political history of the country, this is it. It’s not easy to explain the multi-faceted history of Indonesia over the centuries since Melanesian hunter-gatherers first bumped into Homo floresiensis (or perhaps Homo erectus) in Liang Bua, “The Cool Cave”, at least some 12,000 years ago. But Hannigan does an excellent job, smoothing over the many historical rough edges of millennia to present a coherent and compelling tale. It’s not often one has a history book keeping us up late at night, but this one is peppered with so many fascinating anecdotes—and will perhaps smash so many of your assumptions about Indonesia—that it left us bleary eyed for several mornings running. The arrival of the Portuguese, Dutch and British, lured by spices like nutmeg, pepper and cloves, slowly brings great and bloody changes to the region over several trying centuries. (And suitably evocative language from Hannigan: “Sultan Agung tried hard to squeeze the tiny colonial pustule of Batavia, but he failed to squirt the Dutchmen out into the Java Sea.”) Anyone looking to understand the Indonesia of today must have an understanding of the brutality of the colonial rulers and also the limited extent to which they ruled across some 17,000 islands, as well. Hannigan covers the tumultuous founding of the nation, the rule of Sukarno and Suharto, the breakaway of East Timor and the transition to a democratic state. He wraps with the 2004 Asian tsunami, which killed well over 100,000 people in Indonesia alone (mostly in Aceh). Very briefly, the election of Joko Widodo in 2014 concludes the book, along with an interesting reflection that the history of Indonesia lives largely in the language its people speak today: words derived from Sanskrit, Arabic, Portuguese, Dutch and Hokkien all echo the past. 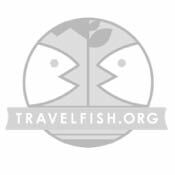 It lives too in the food of the Archipelago, and the varied religions people practise today. History lives everywhere, naturally, but in Indonesia it seems particularly colourful and brims in the present. Our only tiny criticism is Hannigan's penchant for ellipses at the end of sections—we get it, more is coming! Hannigan does a fine job of whittling down Indonesian history to the essentials, so the novice historian can quickly grasp the nature of the background to the country. Every chapter in this book is worth at least another few books on its own. Thanks to Hannigan’s decision to make this a popular rather than academic history, there are no footnotes, which certainly makes reading more brisk, but an extensive bibliography and reading list will help you explore further yourself any particular angle of the book you find intriguing.